After leaving Arkaroola, we headed north to the Strzelecki Track. 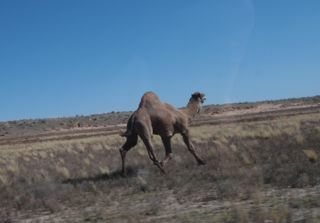 The road that took us to the Strzelecki was really remote and barren, with a lot of wildlife with no traffic smarts at all, the highlight being a camel, who thought the road was a racetrack. I had get right up close to the poor thing and blast the horn to get him off the road, what a sight! 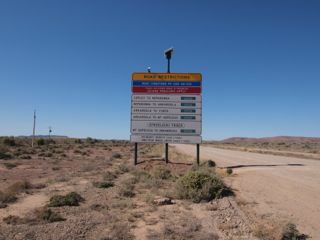 We turned off the Strzelecki onto a road with no name that we hoped would lead us to Cameron Corner. 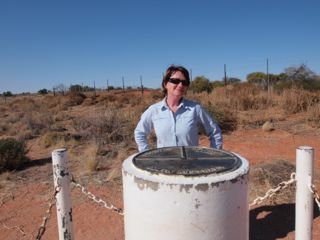 This is where QLD, SA and NSW meet. We had lunch in QLD and then off into NSW, with a marked deterioration of the roads. All the remote dirts we had done were in good condition, apart from a few holes here and there, but the road from Cameron Corner to Tibboburra was dire. We downed a very welcome cold beer on the verandah of the Family Hotel in Tibboburra. Kate another very well done 'rare' steak for dinner. You'd think she'd learn!